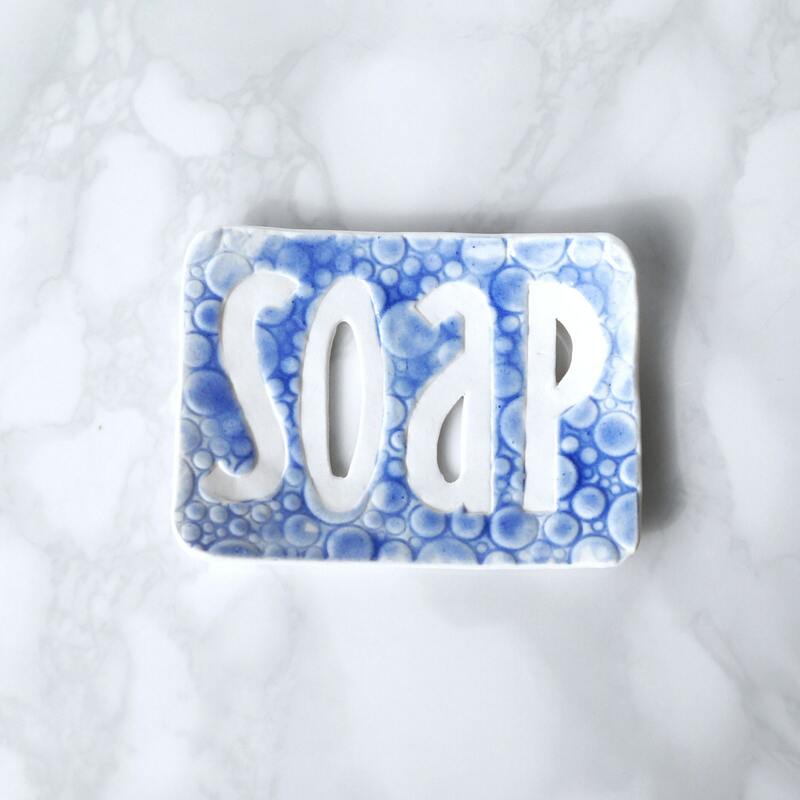 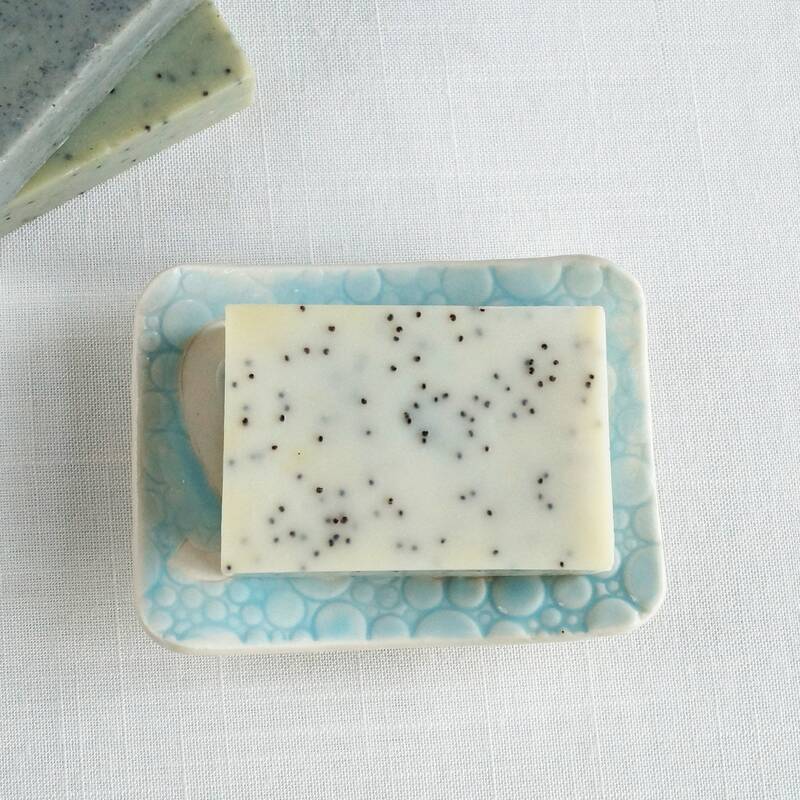 Inspired by graphic design and the seaside, this SOAP dish features modern typography and a glazed bubble texture. 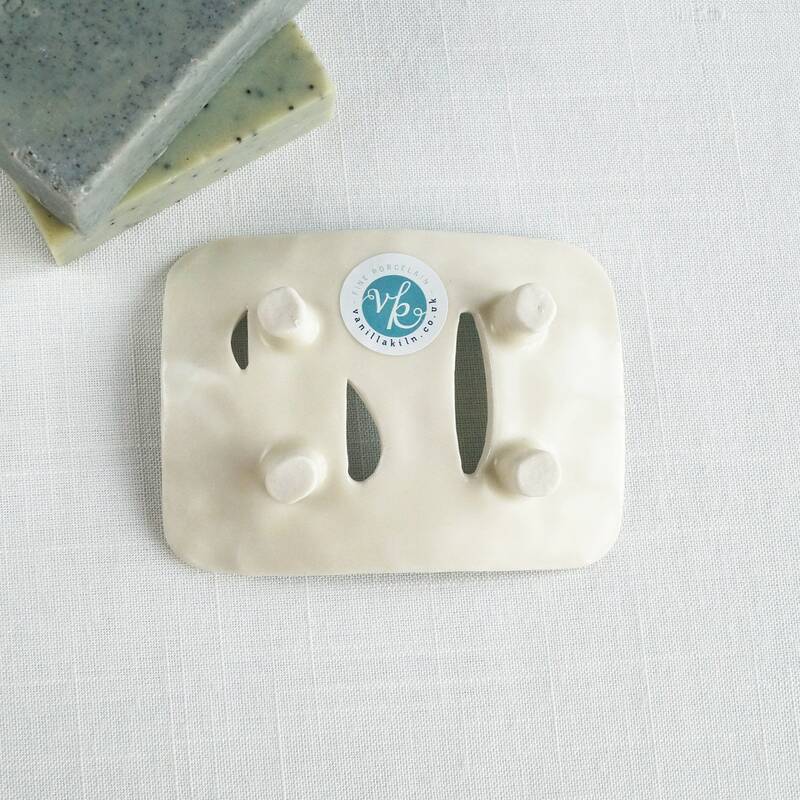 Curved to hold most soaps. 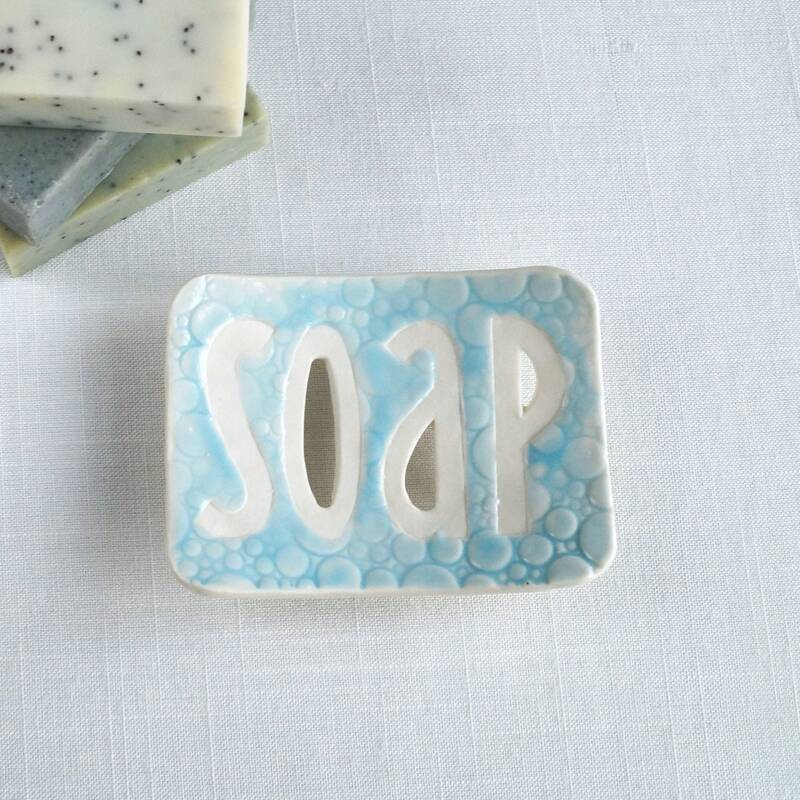 Unglazed recessed letters have holes to drain the soap. 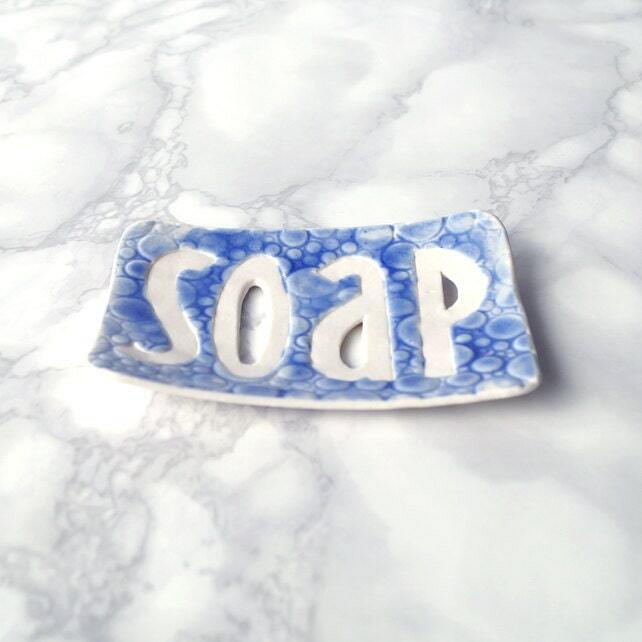 Shiny ceramic glaze on bubble texture. 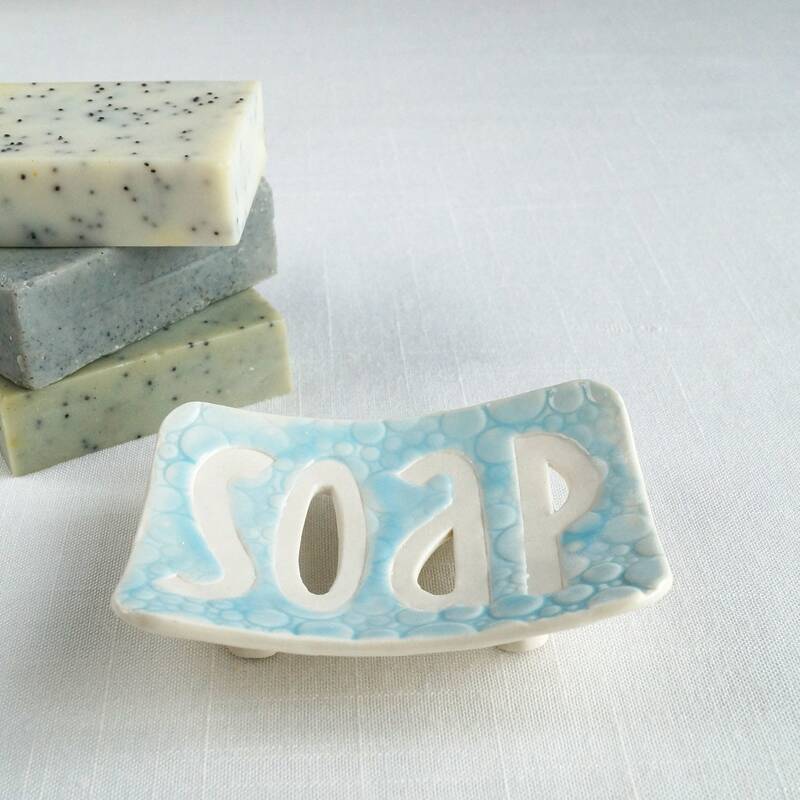 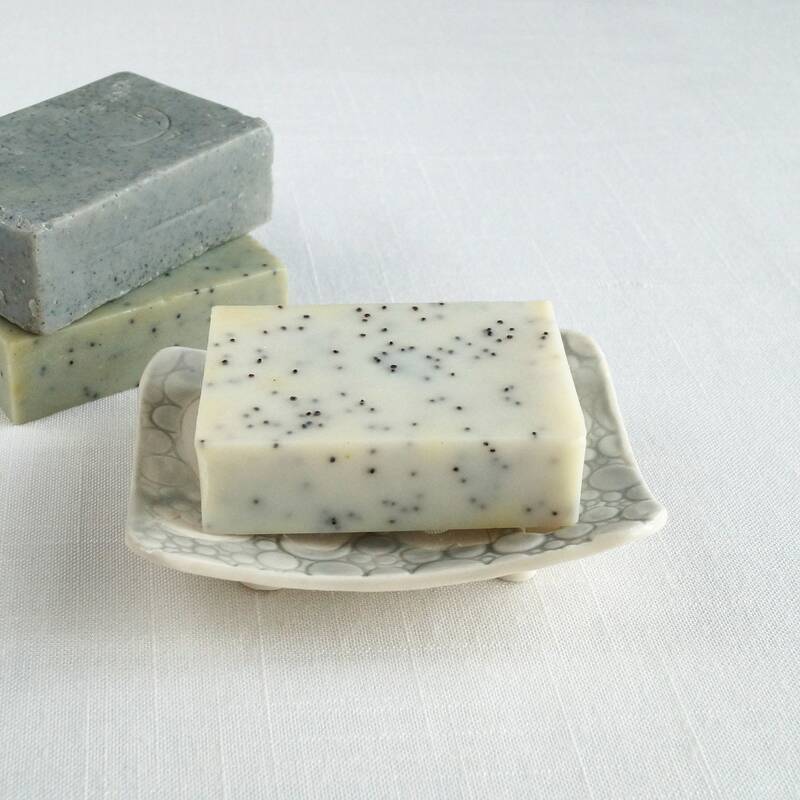 Soap dish 78 mm x 107 mm approx. 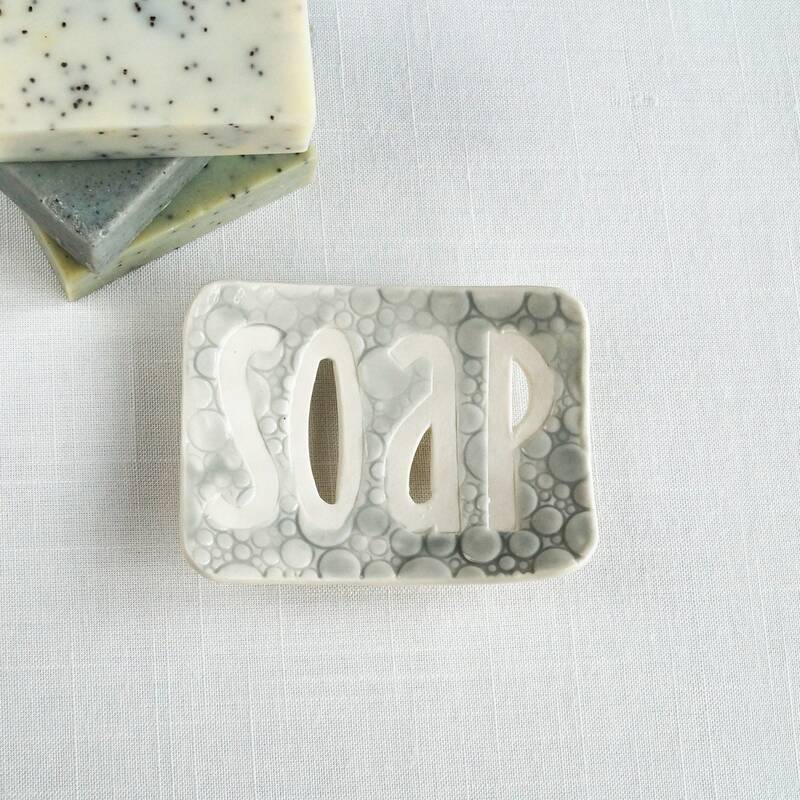 Each one varies slightly due to the handmade processes and yours will be just as beautiful as the one shown.